Nothing says coastal like turquoise. 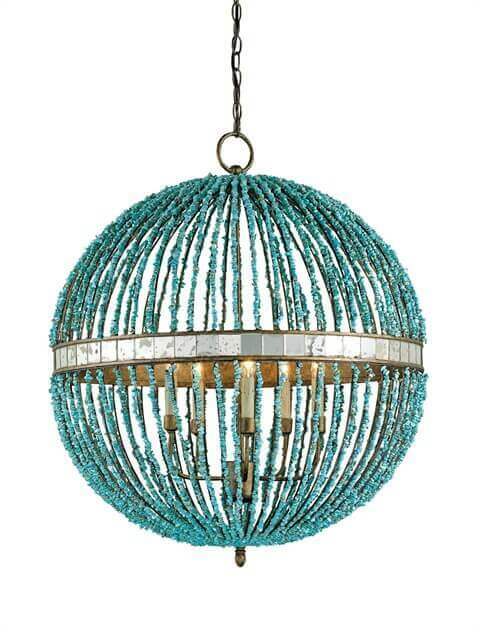 The Alberto Orb Chandelier is a true statement piece. Painstakingly prepared swags of Turquoise marble beads adorn the globe-like form. The memorable materials of this spectacular piece will dress up any interior. Measures: 33"H x 28"D x 28"W and takes five 60 watt bulbs (not included).